Contrary to popular belief, police officers aren’t legally allowed to go around arresting whomever they want, whenever they want, and in any manner they like. 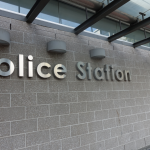 There are a number of rules and regulations that the police have to abide by, and if officers make an unlawful arrest, the person arrested could have grounds to make a complaint or apply for the withdrawal of any subsequent charges laid against them. Unlawful arrest is the cause of numerous complaints to the police force in NSW every year. 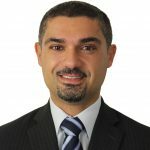 There have also been a few high profile cases in the media, such as that of Adam Houda, a Sydney-based lawyer who has been arrested six times in 11 years, and has successfully sued the NSW police for wrongful arrest. A class action has also been brought against NSW police alleging the wrongful arrest of a number of young people. There are a number of different things that constitute an unlawful arrest. Unlawful arrest occurs when police officers arrest someone without abiding by the regulations and arrest procedures that they must abide by. This can lead to people being arrested for no good reason, or as a result of unfair discrimination. It can also lead to mistreatment of suspected offenders who have been arrested. Unlawful arrest can happen through police officers not understanding the rights of individuals, through discrimination, or as a result of administrative error. There have been cases where people have been arrested to comply with bail or AVO conditions that have expired, and this counts as unlawful arrest. Unlawful arrest is also often the result of lack of knowledge on the part of the arresting officer. In some cases, it is more appropriate to proceed with a Notice of Attendance or an infringement notice than to arrest a suspect unnecessarily. 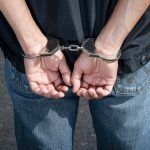 To understand exactly what constitutes unlawful arrest, it is a good idea to take a look at the guidelines that the police are required to abide by when arresting someone on suspicion of a crime. According to the Law Enforcement (Powers and Responsibilities) Act 2002, police officers are allowed to make an arrest without a warrant as long as they have reasonable grounds to suspect the person is committing or has committed an offence. If there are no reasonable grounds, police can’t lawfully make an arrest. Having reasonable grounds for suspicion means that there must be some evidence in place to suggest that someone has committed or is committing an offence. Police are not allowed to arrest a person for questioning about a crime someone else has committed, or to question someone about a crime unless they have reasonable grounds to suspect that the person they are arresting committed the crime. They are allowed to ask for information, or to ask someone to accompany them for questioning, but the person is allowed to refuse if they don’t want to answer questions. As what is considered ‘reasonable’ can vary between individuals, the definition of reasonable suspicion is usually taken from the case of R v Rondo, and is known as “Rondo reasonable suspicion”. According to Rondo, a reasonable suspicion is less than a reasonable belief but more than a possibility. For a lawful arrest to take place there must be a factual basis for suspicion, and it must be such that a ‘reasonable person’ would believe that there was a chance the person arrested committed an offence previously or was in the act of committing an offence. Prevent a repetition of the offence or a further offence being committed. Ensure the suspect’s appearance in court for an offence (particularly if they have been released on bail and officers have reason to believe that they are planning to breach their terms). Prevent interference with evidence or witnesses relating to an offence. Preserve the arrested person’s safety and/or welfare. Prevent the fabrication of evidence relating to the offence. If a person has been arrested without reasonable suspicion, and not for any of the reasons listed above, the arrest could be unlawful and the person who was arrested may have grounds to take further action against police. 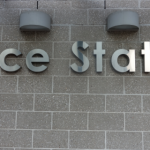 In addition to their reasons for making an arrest, there are certain procedures police officers must follow when making an arrest. If they don’t follow these procedures, they could be acting unlawfully. Arrest procedures are intended to ensure that people who are arrested on suspicion of committing an offence are treated fairly and impartially. Inform the suspect that they are under arrest. Tell them why they are under arrest. Tell the person being arrested their name and place of duty. Take them to a police station as soon as possible. In addition to this, police officers are not allowed to use excessive force when arresting and detaining suspects. They may use as much force as is deemed necessary to arrest a suspect and prevent them from escaping, including handcuffs. If they use more force than is strictly necessary, they could be charged with assault. 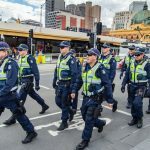 With the prevalence of smartphones with video capabilities, there has been an increase in awareness of police officers using more force than necessary to arrest suspects. 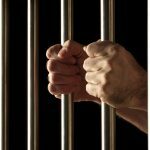 Being unlawfully arrested can lead to a significant amount of emotional distress and legal difficulties. Next week we’ll look at what you can do if you believe you have been the victim of a wrongful arrest. In the meantime, contact a lawyer as soon as possible to find out your options.